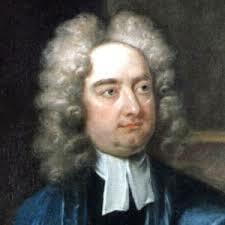 Born on November 30, 1667, Irish author, clergyman and satirist Jonathan Swift grew up fatherless. Under the care of his uncle, he received a bachelor’s degree from Trinity College and then worked as a statesman’s assistant. Eventually, he became dean of St. Patrick’s Cathedral in Dublin. Most of his writings were published under pseudonyms. He is best remembered for Gulliver’s Travels. He died on October 19, 1745. Although not a scientist, he had friends and acquaintances that were, and was familiar with the work of astronomers such as Johannes Kepler. Gulliver’s Travels was published on October 28th 1726. It is regarded as his masterpiece. As with his other writings, he had the Travels published under a pseudonym, the fictional Lemuel Gulliver, a ship’s surgeon and later a sea captain. 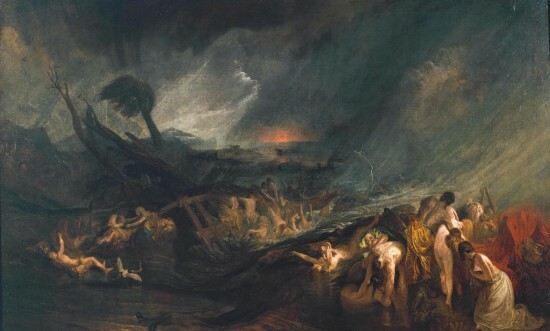 Though it has often been mistakenly thought of and published in abridged form as a children’s book, it is a great and sophisticated satire of human nature based on Swift’s experience of his times. Gulliver’s Travels is an anatomy of human nature, a sardonic looking-glass, often criticised for its apparent misanthropy (a generalized hatred for mankind). It asks its readers to refute it, to deny that it has adequately characterised human nature and society. Each of the four books—recounting four voyages to mostly fictional exotic lands—has a different theme, but all are attempts to deflate human pride. Critics hail the work as a satiric reflection on the shortcomings of the then current Enlightenment thought. In the third chapter of ‘Voyage to Laputa’ we read: ‘They (the Laputans) have likewise discovered two lesser stars, or satellites, which revolve about Mars, whereof the innermost is distant from the centre of the primary planet exactly three of his diameters, and the outermost five; the former revolves in the space of ten hours, and the latter in twenty-one and a half; so that the squares of their periodical times are very near in the same proportion with the cubes of their distance from the centre of Mars, which evidently shows them to be governed by the same law of gravitation that influences the other heavenly bodies’. Along with a colleague, I would welcome wider planting and practical use of timbers such as the California Redwood (Sequoia sempervirens) in the United Kingdom. The more we learn of these trees the more amazing they are to us. 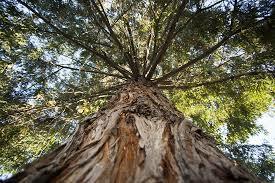 For decades, a lone redwood has grown near the railroad tracks that run through the small city of Cotati, California. It was little noticed by most people—until officials announced that the tree had to be cut down to make way for a new transit system. Now arborists, researchers, and historians have banded together to save it. While some butterflies are said to migrate longer distances with the onset of winter, only the monarch makes such long journeys with precise destinations and in such great numbers. 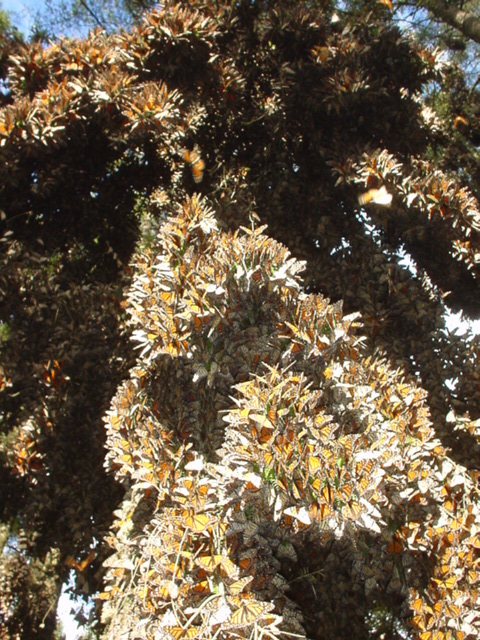 The migration of the monarch is truly a butterfly phenomenon. Consider some of the impressive feats of these amazing insects. In recent years, GM companies, trade bodies and associated scientists have issued a deluge of propaganda suggesting biotech crops are the key to feeding the Third World. 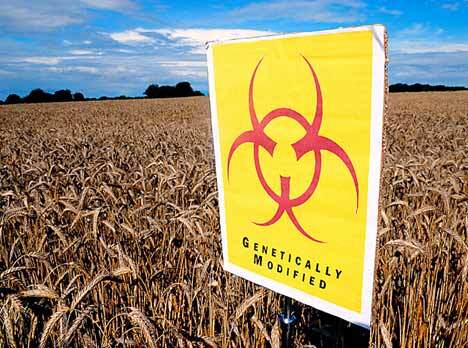 Now evidence is building that genetically modified foods such as soy and corn may be responsible for a number of gluten-related maladies such as the intestinal disorders now plaguing 18 million Americans, according to a new report released on 25th November. The report, “Genetically Modified Foods Proposed as Trigger for Gluten Sensitivity” was released by the Institute for Responsible Technology (IRT), and cites authoritative data from the US Department of Agriculture, US Environmental Protection Agency records, medical journal reviews as well as international research. “Gluten sensitivity can range in severity from mild discomfort, such as gas and bloating, to coeliac disease, a serious autoimmune condition that can, if undiagnosed, result in a 4-fold (likelihood of) death,” said Jeffrey M. Smith, executive director of IRT in a statement released on their website (www.responsibletechnology.org/). What is behind the history of dragons? Ancient peoples from all over the world spoke about unusual, reptile-like creatures (large and small) that once roamed the earth. Europeans called them “dragons,” originally from the Greek drakon apparently from drak-, strong aorist stem of derkesthai.” Perhaps the literal sense is “the one with (deadly) sight.” Scientists agree that legends are often based on facts, not just imagination. Dragon pictures are found in Africa, India, Europe, the Middle East, the Orient and every other part of the world. 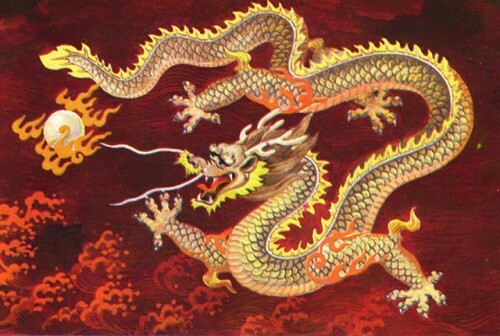 Dragon history is universal throughout the world’s ancient cultures. Where did this global concept originate? How did societies throughout the world describe, record, draw, etch, sew and carve such creatures in consistently similar ways? Continue reading Dragons or Dinosaurs? Przewalski’s ( PREZ- val- ski’s) Horse has been known to the world of science since 1881, when it was described by I. S. Poliakov, based on a skull and hide imported from Central Asia by Colonel Nicolai M. Przhevalsky in 1879. 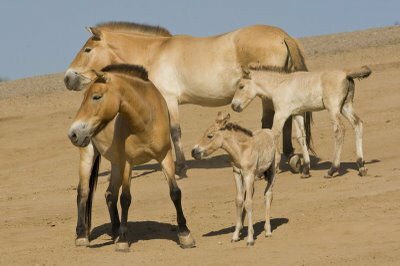 Poliakov named the newly discovered species ‘Przewalski’s Horse’ in honor of the explorer. However, the wild horses were known to local inhabitants a long time before that. The Mongols called them takhi, the Chinese jie-ma. The expression kertag is also used, originating from the Kirghiz kher takhi. The Przewalski‘s Horse is a smallish, stocky animal with a powerful, low-set head. The coat is sandy brown to yellowish in color, with a white belly and a short, dark brown, erect mane and brown tail. There is a dark, dorsal stripe running along the middle of the back. The coat is also dark above the hooves. 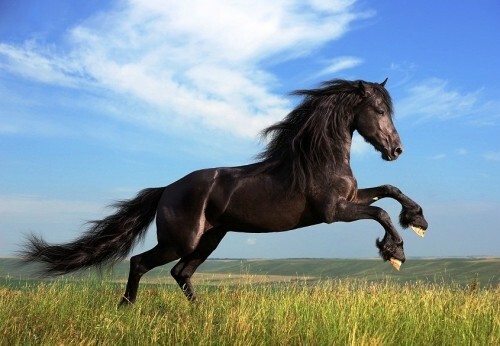 Some horses have dark legs up to their knees and there can also be dark stripes on the legs. The muzzle is often white (the so-called flour nose), although dark nosed individuals have also been recorded. The winter coat is long and thick and it protects the horse from the cold conditions and icy winds of its native habitat. 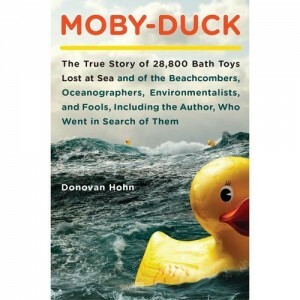 They were toys destined only to bob up and down in nothing larger than a child’s bath – but so far they have floated halfway around the world. 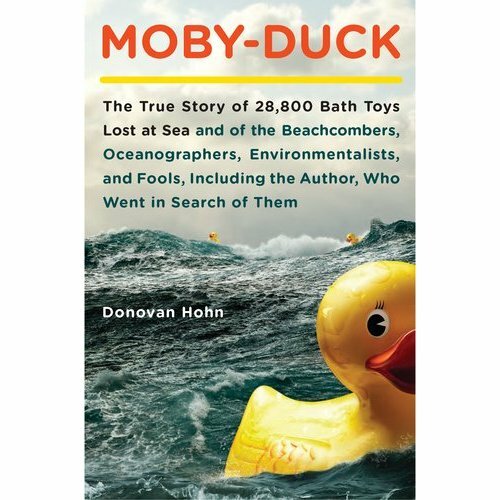 The ducks began life in a Chinese factory and were being shipped to the US from Hong Kong when three 40ft containers fell into the Pacific during a storm on January 29th 1992. Two thirds of them floated south through the tropics, landing months later on the shores of Indonesia, Australia and South America. But 10,000 headed north and by the end of the year were off Alaska and heading back westwards. It took three years for the ducks to circle east to Japan, past the original drop site and then back to Alaska on a current known as the North Pacific Gyre, before continuing north towards the Arctic. Heading for Britain, they were soon to be spotted on beaches in South-West England. The toys have helped researchers to chart the great ocean currents because when they are spotted on the shore they are much more likely to be reported to the authorities than the floats which scientists normally use. 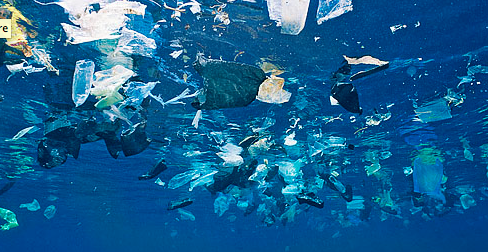 There is still much to be learnt about ocean currents. Because the toys are made of durable plastic and are sealed watertight, they have been able to survive years adrift at the mercy of wind and current..